KANSAS CITY, Mo. 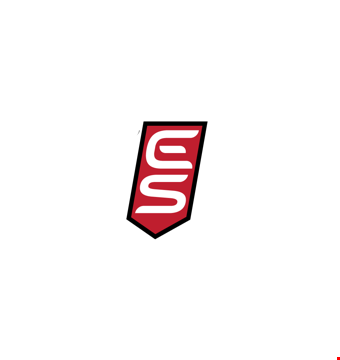 (June 21, 2018) – Elite Sports, a sports development and management company based in Olathe, Kansas, announces today plans to open five state-of-the-art youth sports facilities in Kansas and Missouri – a total investment of $25 million. With a combined total of 650,000 square feet, the new facilities will also bring more than 500 new jobs to the Kansas City metro. "Our new facilities are paving the way for local clubs – practice is no longer a drop-off, but a lifestyle that goes well beyond the sport, and a unique experience that parents can enjoy as well,” said Jason Bryson, CEO of Elite Sports. The new, multi-sport facilities offer a one-stop shop for local athletes and parents with amenities including medical clinics, fitness gyms, sports massage, classrooms, parent workstations, lounges, arcades, full-service bars, nail salons, and more. In addition to state-of-the-art technology and equipment for training, the facilities go beyond the sport and introduce youth athletes to life skills through various educational classes and opportunities. Clubs and leagues including MAVS Volleyball, Elite Softball Academy, Kansas City Scott Gallagher and Heartland Futsal call the facilities home. Elite Sports will also offer rental space to other metro-area clubs for multiple sports. The facilities will host local, regional and national tournaments. “Not only do our facilities provide outstanding benefits for athletes and parents, but to entire communities and the general public as well,” said Bryson. Elite Sports will offer memberships to its fitness gyms and classes, known as The Burn KC. Multiple clubs will include pediatric medical clinics focusing on sports medicine that will be open to both athletes and the public. Two of the five planned Elite Sports centers – Olathe and Overland Park – opened earlier this year, and the remaining three facilities in Lenexa, Olathe and Kansas City plan to open this year. Completed in May of 2018, Elite Sports Olathe is the official new home of the nationally recognized MAVS Volleyball Club. The 65,000-square-foot indoor facility features 10 NCAA regulation-size volleyball courts that can be raised or lowered at the push of a button. With FlexCourt flooring and state-of-art sports lighting, the multi-use courts will also house futsal and pickleball. Other facility features include two lounges, an arcade room, concessions, classrooms, a business center with nine workstations, and big-screen TVs. The facility will also house a full-service bar for adults over the age of 21, and a nail salon. Elite Sports Olathe is located at 1671 East Kansas City Road, Olathe, KS 66061. Completed in March of 2018, Elite Sports Overland Park is primarily used as the practice facility for the Kansas City Softball Academy. The 6,500-square-foot indoor facility boasts five individual tunnels for batting and hitting: three 50-foot tunnels and two 40-foot tunnels. The facility also has the capacity to house fielding and team practices by transforming three tunnels into one large, indoor space. A pitching machine with dimple balls is available for use by renters when not occupied by instructors for lessons. Elite Sports Overland Park is located at 7375 W. 161st St., Overland Park, KS 66085. Elite Sports Lenexa, the former home of the MAVS Volleyball Club, will open its newly renovated, 60,000-square-foot location for soccer and futsal this July. The fully turfed, indoor facility will feature one full-size soccer field, easily transformable into four regulation-size futsal courts. It will also house a dedicated speed and agility area, giving players the ability to train year-round in a controlled climate. The newly renovated facility will also feature two lounges, classrooms, and a full-service bar for adults over the age of 21. Elite Sports Lenexa is located at 15546 W. 108th St., Lenexa, KS 66219. Anticipated to open late-fall of 2018, Elite Sports Mall is a 250,000-square-foot multi-sport facility for youth soccer, baseball, softball, lacrosse, and futsal athletes. Boasting a full, pediatric health clinic, in addition to a fitness center called “The Burn KC,” Elite Sports Mall is a one-stop shop packed with convenience for youth athletes and the community. The facility, which focuses on optimizing athletic performance, will house batting cages and hitting areas, 4v4 soccer fields, one full-size soccer field, warm-up turf areas, strength and agility training areas, and more. Additional features include a walking track, parent lounges, juice bar, coffee shop, concessions, full-service bar, sports massages and classrooms. Elite Sports Mall is located at 2115 E. Kansas City Road, Olathe, KS 66061. Elite Sports KC, the first Elite Sports facility location planned for Missouri, is the newest project for the sports development company. Like the Sports Mall in Olathe, Elite Sports KC will house multiple sports and include similar amenities like a pediatric health clinic and fitness center. Unique to the 150,000-square-foot KC facility is 100,000 square feet of additional and multi-functional outdoor space. Elite Sports KC is anticipated to open late fall of 2018 at 5000 E. Bannister Road, Kansas City, MO 64137.